Woohoo! 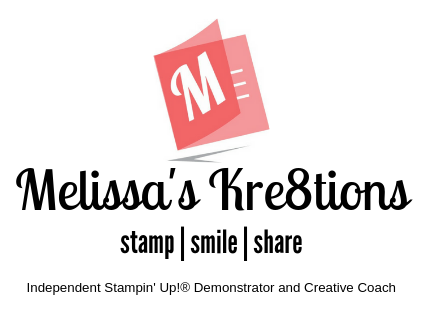 My Stamping Saturday Samples are all ready! Here’s a few photos to get you guys excited! Join me at my Facebook page on Saturday, October 1 at 10am for Session 1 and 3pm for Session 2, PDT. Get all of your supplies at my Shop, and if you use the hostess code SYKVGZRJ I will be making you a 3-pack of Holiday Gift Tags in a custom, coordinating envelope! This will be shipped out with your regular thank you card at the beginning of November. 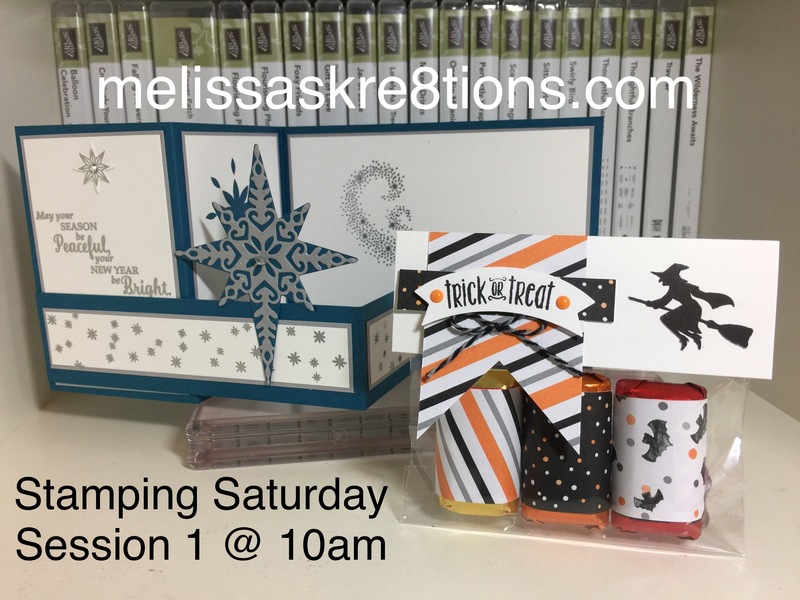 So without further ado, here are my Stamping Saturday samples! Session 1 features a Star of Light card using the Star of Light stamp set and coordinating Starlight thinlets dies. Bundle # 143508 $49.50. The Trick or Treat bag was made using the Spooky Fun stamp set. This set also has some coordinating thinlets. Bundle # 144437 $36.75. Session 2 features a card made using the Candy Cane Christmas stamp set as well as a few products from the same suite. The stamp set can be purchased in either Wood # 142037 $25 or Clear Mount # 142040 $18. The Treat Box Case was made using the Thoughtful Branches stamp set (which may be unavailable very soon so get yours today!) This set also has coordinating thinlets dies and can be purchased with Bundle # 144328 $52. *Star of Light card CASED from Sandi McIver, inspiration for Candy Cane Christmas card came from an unknown author on Pinterest.